Stampin'Up! Best of Birthday Stamp Set Card #1! Each month through out 2013, Stampin' Up! is releasing a special stamp set each month. Each set will be comprised of retired favorites, along with one completely new never-before-seen stamp. The first set to be released in January of this year is "Birthday Best"! Last week I held a "Birthday Best" Class at my house. Over the next few days I will be featuring the cards we made with this set. Here's the first one, using the stamp, "happy birthday, cupcake!" 12 sheets: 2 ea. of 6 double-sided designs. 12" x 12". Acid- and lignin- free. Coordinates with the Patio Party suite. Baja Breeze, Midnight Muse, Primrose Petals, Summer Starfruit, Whisper White. When you need a delicious homemade treat, a yummy cupcake can’t be beat! You can whip up adorable cupcakes to sweeten your paper crafting projects too with our Build a Cupcake Punch. Complete with frosting, cherry, candle, and sprinkles, you’ll have a bunch of the pieces you need to decorate your cupcakes with scrumptious style for lots of different occasions. Coordinates ideally with images in the Create a Cupcake Set for super easy stamp-and-punch accents. The innovative, thin, wafer-like design of these dies lets you see where you’re placing the design before you cut! Layer dies inside each other to cut frames for stamp images. Cut single labels for accents or layering. Use with single sheets of card stock or Designer Series Paper. Labels Collection coordinates with our Apothecary Art Stamp Set. Largest label is approximately 5-7/16" wide. Includes 6 dies in a sturdy envelope for easy storage in our Big Shot Die Storage. New larger size! Folder: 4-1/4" x 6-3/8". Coordinates with the Patio Party suite. Textured Impressions Embossing Folders emboss a single sheet of paper and make deep impressions. Use with the Big Shot, Standard Cutting Pads, and the Multipurpose Platform. Four rows of stitches through touchable satin. 2012–2014 In Colors. 10 yds. Thought I would show you a full view of the picture I posted on my Facebook blog header yesterday, a fun set of cards, boxes, a bag, all created with the Sale-a-bration Simply Sent Happy Hello card pack! I have tutorials for the favor box, the bag, and the card box! Everyone who places an Online Order with me totaling $50 or more will recieve all three tutorials in their inbox for free! Place your order today! 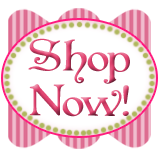 I will be checking my order notices from Stampin' Up! daily and will be sending out your tutorials to you! You can even receive the Simply Sent Happy Hello card pack as your free gift from Stampin' Up! On a family note: No Liam pics today. Wednesdays are his "Daddy Day"! This Thursday and Friday Liam will be with his Auntie Alisa, so the next time I get to see Liam will be Sunday, then I will be keeping him again on Monday. That's all for today. Thanks for comming to see me today. Hope your day "Stampingrox!" Stampin' Up! By the Tide Watercolor Wash! One of my projects for January Technique Class: By the Tide stamp set with the Watercolor Wash Technique. We used Crumb Cake, Marina Mist, and Tangerine Tango Watercolor Crayons on Whisper White cardstock, then "washed" each color separately with an AquaPainter, cleaning the brush on a paper towel between each color. The "By the Tide" images, along with phrases from the "Make a Wish" and "Teeny Tiny Wishes" were stamped over the wash with Jet Black StazOn ink. A very simple but effective technique that complements this stamp set perfectly! What's Liam up to today? Like most little ones. he would rather play with the package his blocks are stored in than the blocks! Beautifully rendered and exquisitely detailed--who wouldn’t want to add this extravagant seven-piece set to their stamp collection? Makes a wonderful gift for ocean and nature-lovers. Coordinates with the 1" Circle Punch. You'll always be ready to celebrate with this seven-piece set. It's a perfect mix of party invitation sentiments and greetings for any occasion. Just add cake and balloons! Wait a minute, did you say 24 stamps in one set--and it's not an alphabet set? Wow! This set includes a greeting for almost every occasion. Don't just buy it, keep it handy, cause you're going to use it a lot! StāzOn ink is perfect for crisp images on cello bags. Personalize them for birthdays and holidays by stamping right on the cello with this great ink. It's also perfect for watercolouring since the ink is permanent. Now you can watercolor in Stampin’ Up!’s exclusive colors! Try coloring directly onto your stamp, misting lightly with water, and stamping onto your paper. You will get an instant watercolor image! You can also take the pigment directly off the crayon with your Aqua Painter to color a stamped image. It's Monday morning and I'm spending my day with Liam, by youngest grandson! He's jumping and having a party in his excercizer this morning! He's had a bottle and a nap, several diaper changes and a jammie change, we've played on the piano play mat and in the excercizer, and now it's just about time for another bottle and maybe another nap! While we wait for the next step in Liam's day, how about a card share? The "Be My Valentine" is from the "Delightful Dozen" stamp set. The "Love You" is from the Holiday Catalog carryover set, "Seasonal Sayings", which will still be available until April 30th! Well, Liam has about decided it's time for a change of scenery, so I'll close for today! The innovative, thin, wafer-like design of these dies lets you see where you’re placing the design before you cut! Layer dies inside each other to cut frames for stamp images. Cut single hearts for accents or layering. Use with single sheets of card stock or Designer Series Paper. Hearts Collection coordinates with Take it to Heart Stamp Set. Largest heart is approximately 5-1/4" wide. Collection includes 6 dies in a sturdy envelope for easy storage in our Big Shot Die Storage. Add deeply embossed impressions to the edges of your cards with these newly sized folders! Add extra dimension by cutting the side of your card first with the Adorning Accents Edgelits, then emboss using these folders. Largest embossed design is approximately 5-1/2" x 1" long. Set of 3 folders. Stampin' Up! Sale-a-bration has begun! How will you Sale-a-brate? This posting is late today, I know, but it is still on time since it is still Sunday! Before I show you my creation for today, how about a little picture of me and my sister? Last Sunday afternoon my hubby & I traveled north about 2 1/2 hours to the city of my birth, Decatur, Illinois to attend a retirement party for my sister, Connie. Connie worked as a Respiratory Therapist for many years (over 30!). Her husband retired a couple of years ago, and now she has joined those ranks too! Some say Connie looks like our dad and I look like our mom. I just know she was my favorite person growing up and is right up there on my favorites list now! I love you, sis! This card's focal point is actually what would usually be considered the discard piece from yesterday's card. Remember the "quilted heart" from the center? This is the pieceit was cut out of, mounted on Chocolate Chip, then a heart from Hearts A Flutter stamped in Calypso Coral and a tiny little motif from the Sale-a-bration set, Madison Avenue, stamped in Pool Party. The "LOVE YOU" is from Itty Bitty Banners cut out with the Bitty Banners Framelits. So a discarded-but-now-repurposed focal point meets almost-forgotten card base. What do you think? I liked it once I completed it and it turns out I got lots of nice compliments on it when I swapped it in Orlando. Thats all for today. It's a gloomy, cold, rainy & almost icy day here, but until tomorrow, have a Stampingrox! day! Hearts a Flutter Stamp Set + Hearts a Flutter Framelits Dies = 15% savings. Banners are trendy and hip and make perfect accents for all of your projects. Use this multi-occasion, six-piece stamp set with our Bitty Banners Framelits Dies for perfect coordination. 3 dies (largest: 2-1/4" x 1/2"). Coordinates with Itty Bitty Banners Stamp Set and Blue Ribbon Stamp Set. Use with Big Shot, Standard Cutting Pads, and Multipurpose Platform. Besides going to the Stampin' Up! Leadership Conference in Orlando, FL this month, I also had the chance to go see "Wicked" at the Fox Theater in St. Louis! My ticket was my Christmas present from my daughter, Kimberly! It was so much fun! I've been hearing about the Fox for years, ever since my kids were in grade school and occasionally one of them would get to go as part of a school trip, but I'd never been so the whole experience was one of great anticipation, followed by no disappointment! As probably many of you know, "Wicked" is a fun musical based on the well-known story of the "Wizard of Oz", but what I didn't know was that it tells a possible sequence of events leading up to and after the visit to Oz by Dorothy. Why DID the Wicked Witch of the West become so WICKED? The Fox is a gorgeous place to visit just in itself, I highly recommend going if you get the chance! Of course, the best reason I enjoyed it so much is because I got to go with my three beautiful daughters! From left to right: Alisa, Kimberly, and Jessica. Who could ask for better?! I truly am honored to be their mother and am proud to say they are my best girlfriends! I did the "Paper Quilting" technique for the heart and cut out some of the new Crepe Filter Paper with the Delicate Doilies Sizzlet. I love the Filter Paper, but don't think I will be using the Sizzlets with it again. Although most of the little "chad" pieces came out easily, it was not fun removing the remaining ones without tearing because of how delicate the paper is. I used the Sale-a-bration set, "Bloomin' Marvelous" for the greeting and the "HAPPY BIRTHDAY" is from "From My Heart". Well, I've got to get going. "Best of Birthdays" Class is this afternoon and my "Yes, Ma'am!" Downline Meeting is tonight! Stampin' Up! That's the Ticket Giftcardholder and a Resolution. Whoa. I just stopped and checked my blog and found out I haven't posted since New Year's Eve! How could that happen? I'm SO SORRY! It's not that I haven't been stamping. I've been stamping, and sharing at workshops, alot. It's not that I didn't get well from my sickiness around New Years, I'm doing great. It's not that I didn't travel to Orlando for the Stampin' Up! Leadership Conference, had a great time, learned TONS and brought back beautiful inspiration and ideas! It seems like I go along posting pretty regularly for awhile, and then one day I miss a day of posting. That seems to derail my blogging "voice" and it's hard to get back to it. I don't usually make New Year's resolutions and while it's a little late for that, my resolution for 2013 is to blog EVERY DAY. Think I can make it? We'll see. Now that I've shared my resolution, I am now accountable to YOU. I have made a few changes this month. I've started a new organization system to try to keep myself on track better. It's helping, I think. "Blogging Daily" needs to be added to that list. A rather significant but also delightful change is that I've started keeping my 5 1/2 month-old grandson, Liam, 2-3 days a week. At his house. At least most of the time. So I have to think more deliberately about my "To Do" list and take stuff with me. Sometimes I take the right stuff, sometimes I don't. But the upside is that Liam is an adorable, bright, snuggly little sweetheart that I am absolutely in love with and am enjoying every minute in his presence! How do girls with little ones juggle being a Stampin' Up! Demonstrator too? Guess I'm getting a tiny taste of that. A fun mix of current and new products on this one! I used the Occasions set, "That's the Ticket" that I actually received last September during my Founder's Circle tour of the Stampin' Up! stamp manufacturing plant in Kanab, Utah. The "happy VALENTINE'S DAY" was stamped in Versamark ink and then embossed with Cherry Cobbler Stampin' Emboss Powder and my Heat Tool. It was then punched out with the Ticket Duo Builder Punch. I added a tiny knot of 1/8" Very Vanilla Taffeta ribbon, a Vintage Trinket pin, and a Very Vanilla Flower Trim flower with Glue Dots. The heart was cut with a Hearts Framelit and dry embossed with the Lacy Brocade Textured Impressions Folder and the Big Shot. Judy's design would be perfect for a giftcard for the happy couple! I do love it when I can take a design and stretch it for another occasion! That's all for today. I apologize for my wordiness, but I hope I've made up for it by showing you two projects instead of just one! Now to get busy finishing my prep for my "Best of Birthdays" class tomorrow afternoon (still have a couple of seats left!) and my "Yes Mam!" Downline Meeting tomorrow night! Tickets, tickets--get your tickets! This eight-piece assortment will be your top choice for fanciful embellishments all year long! Coordinates with the Ticket Duo Punch and the Occasions Paper-Piercing Pack. Say yes to girly—it’s so you. Vintage dimensional flowers on strips of tulle. Approx. 5/8" wide. 2 yds. Vanilla. Create fresh and fun wedding-themed tags and cards with this beautifully designed stamp set. His and her shoes, toasting glasses -- and even a classic getaway car -- set this wedding stamp set apart from all the rest!